By buying this product you can collect up to 305 bonuspoints. 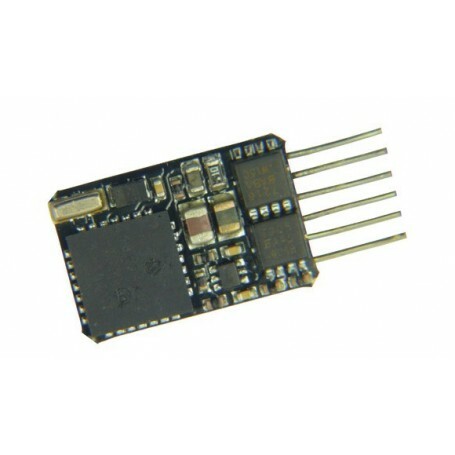 Feedback-enabled decoder for N / TT gauge, NEM 651 direct. 14 x 9 x 2,5 mm, 0,8 A constant current, 1,5A peak current (ca. 20 ms), 4 function exits, current limit for the function exits: total: 0,5 A, 2 logic level exits, SUSI,DCC, MM, RailCom* and much more.